In line with best practice for websites, we recently took the decision to join the small percentage of companies whose website has HTTPS enabled. HTTPS is simply a secure form of HTTP, or Hypertext Transfer Protocol, which is the 'language' of the World Wide Web. Having HTTPS means that all communications between your browser and our website are encrypted. HTTPS was developed in 1994 to allow secure transactions and authorisation, and is used on websites for the same reason. It is used widely by financial institutions and for e-commerce sites, but is not yet in widespread use on traditional websites. HTTPS is very like HTTP because it follows the same basic protocols, and in both cases, your web browser creates a connection with the website server on a standard port. However, HTTPS offers an extra layer of security because it uses TLS to transfer data. 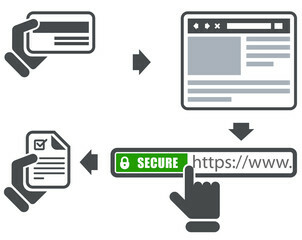 TLS, or Transport Layer Security, enables a secure connection between your browser and the website server. This way data such as personal data, credit card numbers and passwords can be transferred safely from one to the other. Encryption - all data exchanged between your browser and our website server is encrypted, preventing eavesdroppers from 'listening in' on conversations, tracking your activities, or stealing your information. Data integrity - data cannot be modified or corrupted during transfer without being detected. Authentication - this ensures that you are communicating with Corgin as intended and protects against man-in-the-middle attacks.